Travel services are some of the most sought after on the Internet, and Kayak.com and HipMunk.com have cornered a huge share of the market. Both offer a variety of services that make booking flights and reserving hotel rooms–basically anything related to travel–easy, and it is these services that we compare in this article. Kayak.com is a search engine website that offers a variety of travel related services. Based in the United States, the company was established in 2004, and it collects information from hundreds of travel sites and makes it available to users. The service makes it easy to book flights, hotels, cruises, and even rental cars, thanks to its affiliations with Orbitz and other service providers such as hotel chains. 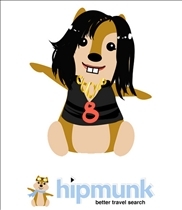 HipMunk.com is another site that offers similar travel related services, and it distinguishes itself from the competition with a wealth of information provided in a clear and easy to understand interface. 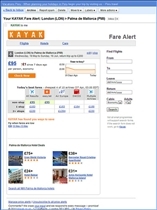 Kayak.com doesn't actually sell travel products and services to its users directly, but rather collects details and information from other sites and makes it easy for users to make reservations. Nevertheless, the sheer number of contacts and information that the company has gathered over the years makes it a good choice for those who are looking for ways to make travel so much easier. HipMunk.com’s strength lies in its extremely lightweight and straightforward interface that makes finding available flights a breeze. For instance, results are displayed in colored rows on a timetable, making it a simple matter to find the information you need. And there is plenty of information to be had as well, including prices, stops, departure and arrival times, and flight durations. HipMunk.com also provides “tabbed” searching features that allow you to keep multiple tabs open so you can compare different travel options easily. Kayak.com is quite easy to use and has enough of the features that one would usually need. The site also compares fares with other sites, ensuring that you get the best possible deals as soon as they are available. As a result of an exclusive deal with American Airlines however, only American fares are currently listed on Kayak. HipMunk.com lightweight user interface is an absolute joy to use, and users should have no trouble finding the information needed quickly. Particular useful is the feature that provides you with the results in easy to read colored rows. While HipMunk.com could stand to add some to its feature set, it has more than enough goods to measure up against the best travel-oriented meta-search engines on the scene. Which travel website is more user friendly? @Michael Cameron Heard about your site on Thrillist! !